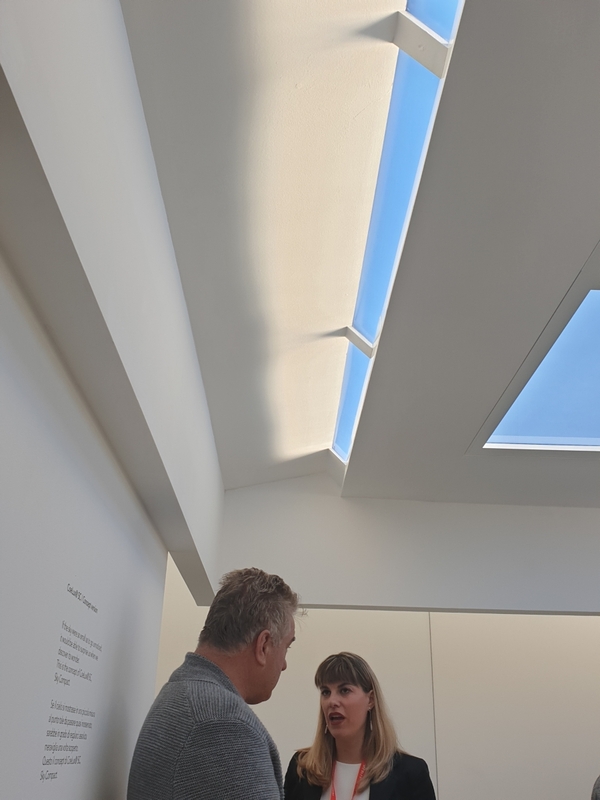 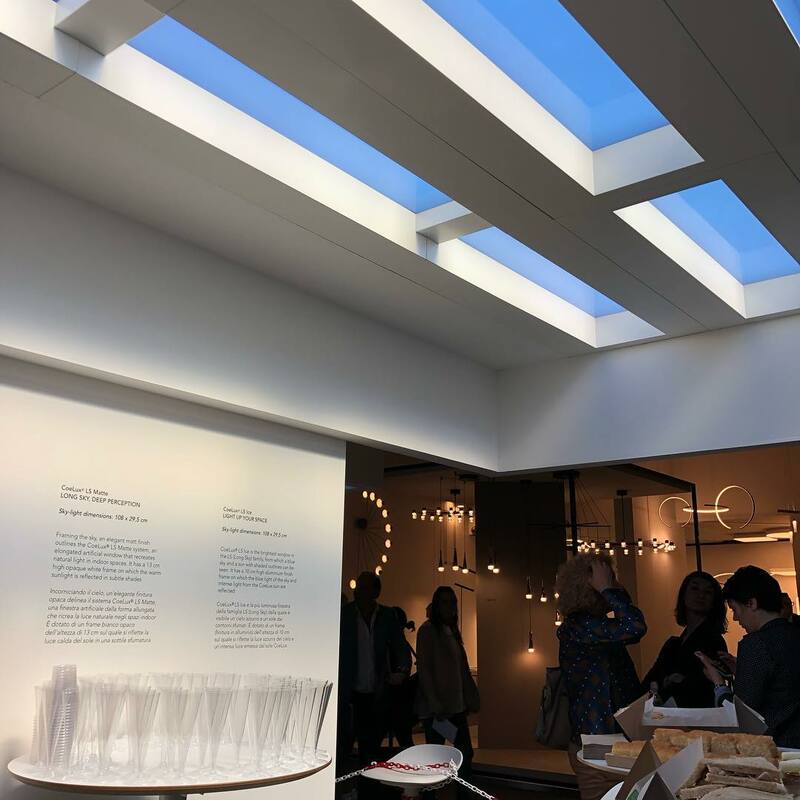 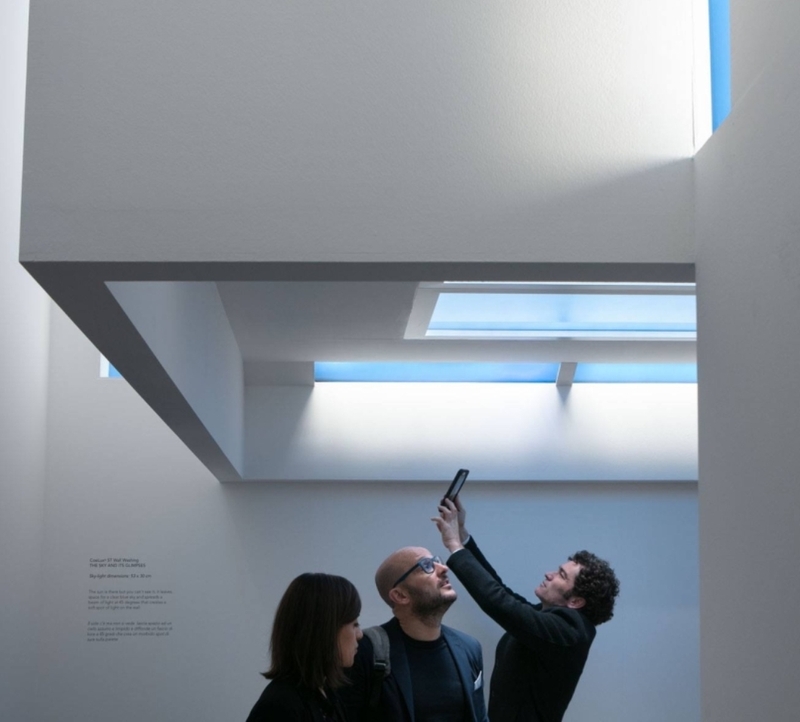 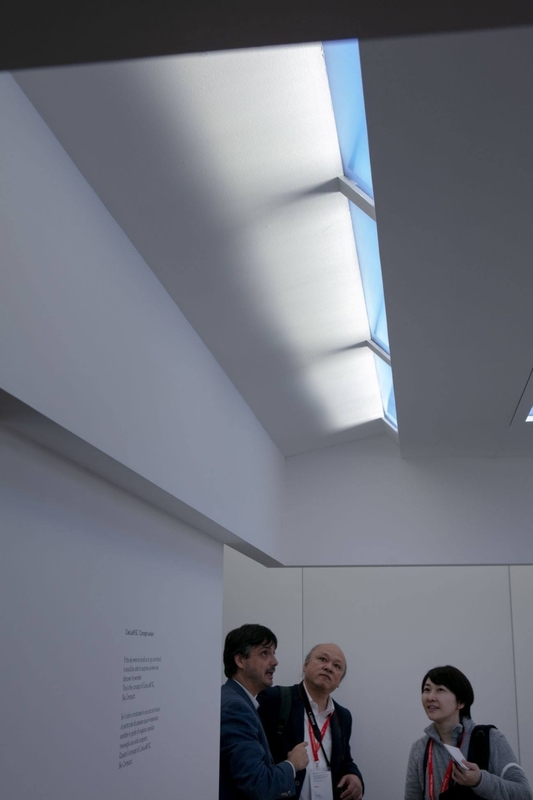 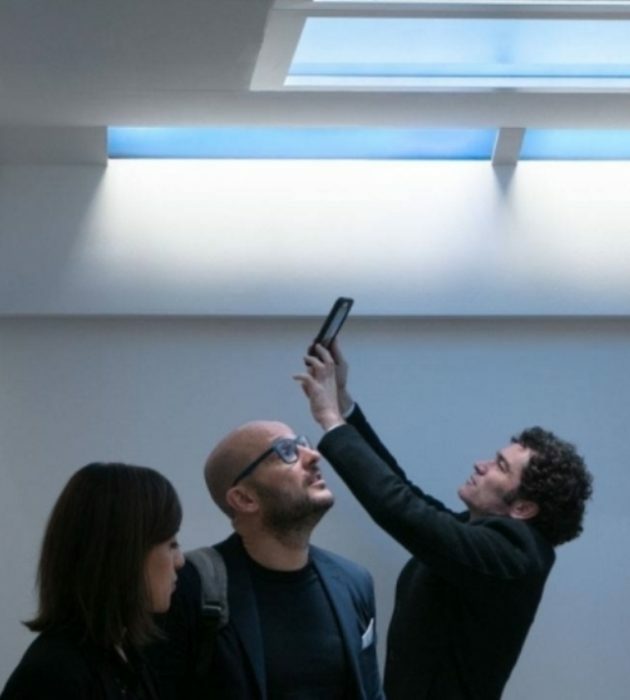 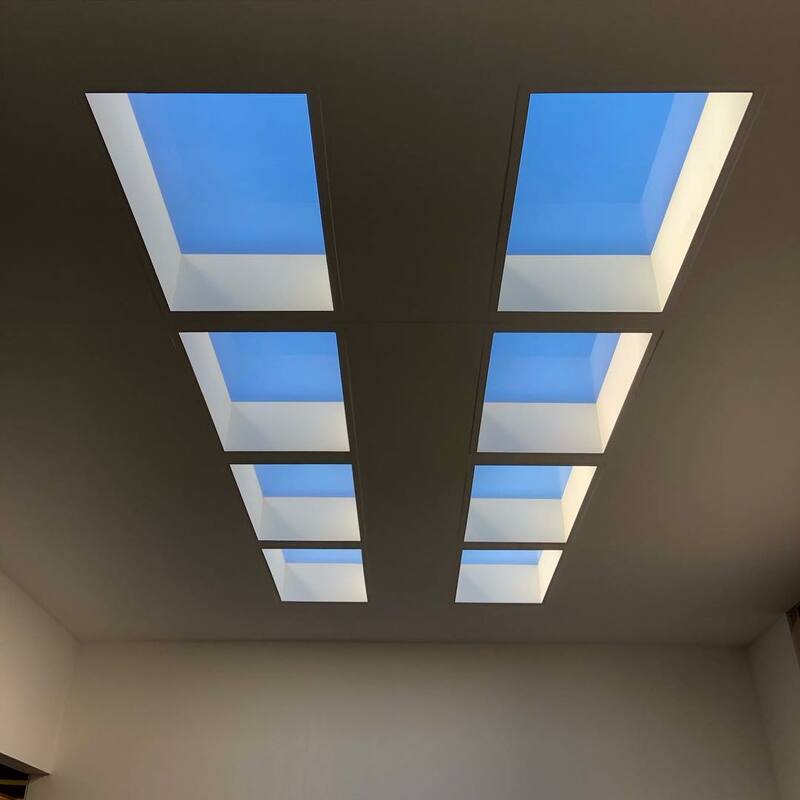 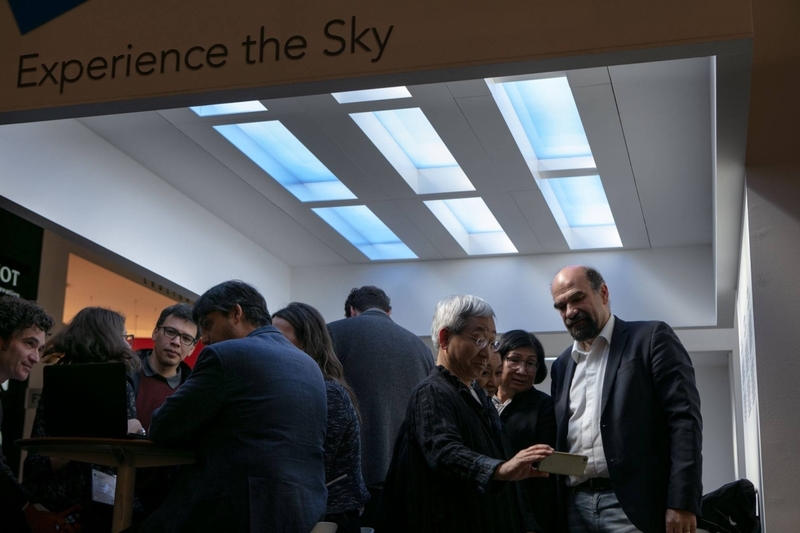 CoeLux reproduces how natural light is distributed and the combination of the blue sky and the yellow sun, thanks to a nano-structured material that diffuses light in precisely the same way as in the earth’s atmosphere. 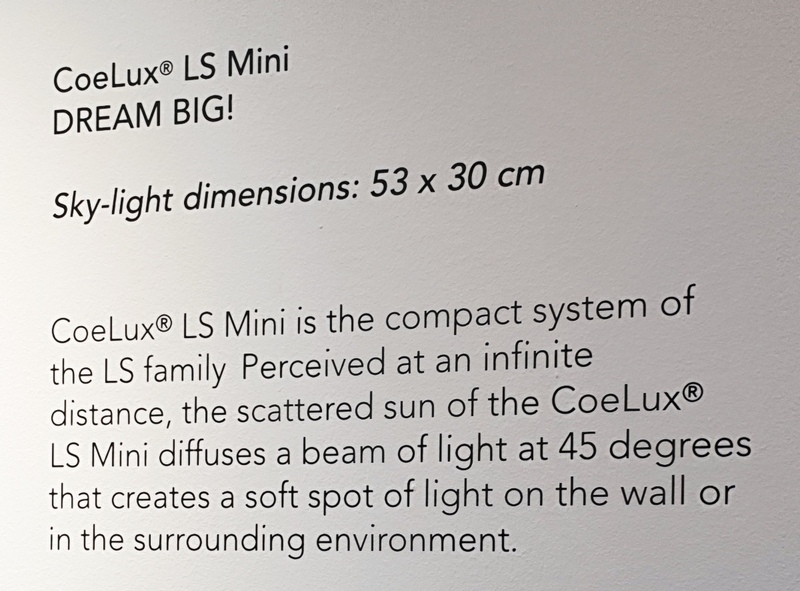 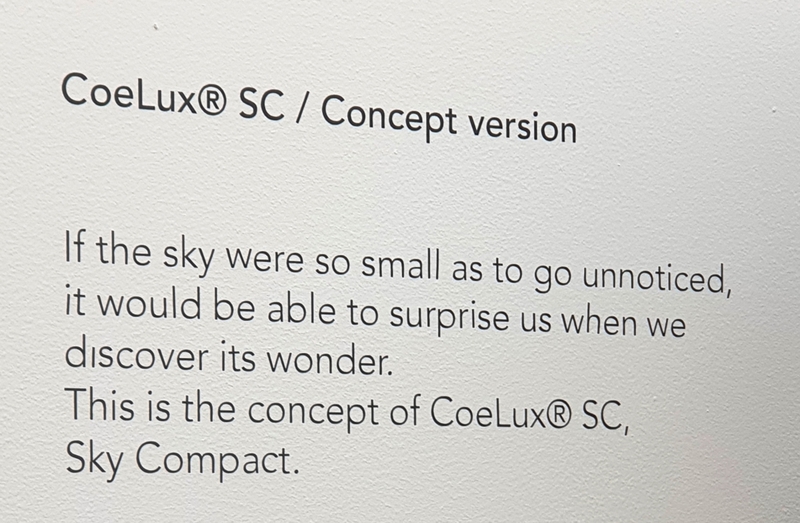 The CoeLux sun and sky are perceived as being an infinite distance away, which is due to the product’s optical design studio, thanks to which all the perception mechanisms of our vision, such as focus, convergence and parallax, contribute to creating the extremely realistic effect of the evoked scenario. 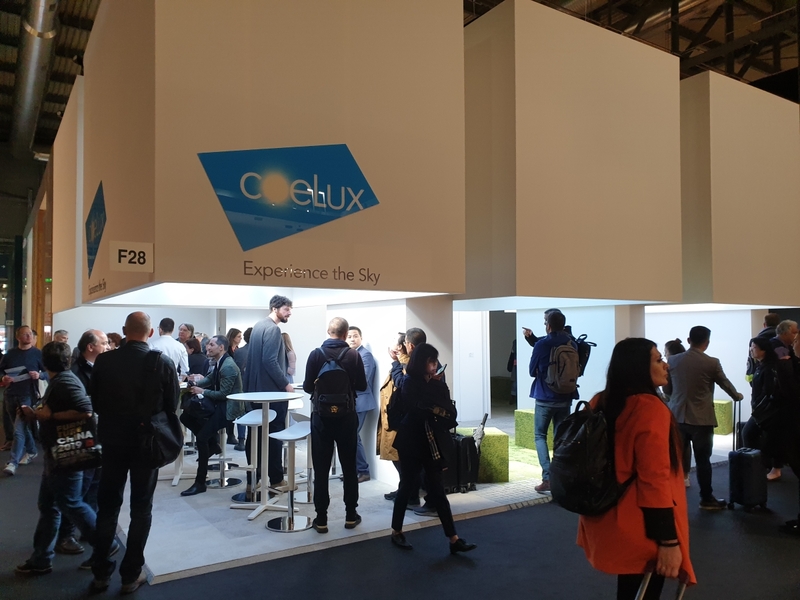 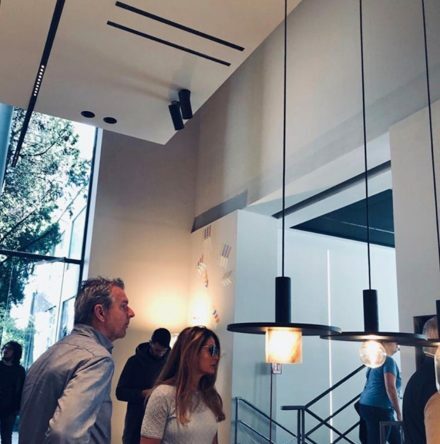 CoeLux mission is to foster an innovative solution for lighting, architecture and real estate industries aiming at creating the perception of an extraordinarily wide space, by means of a genuine physical reproduction of optical atmospheric phenomena indoors. 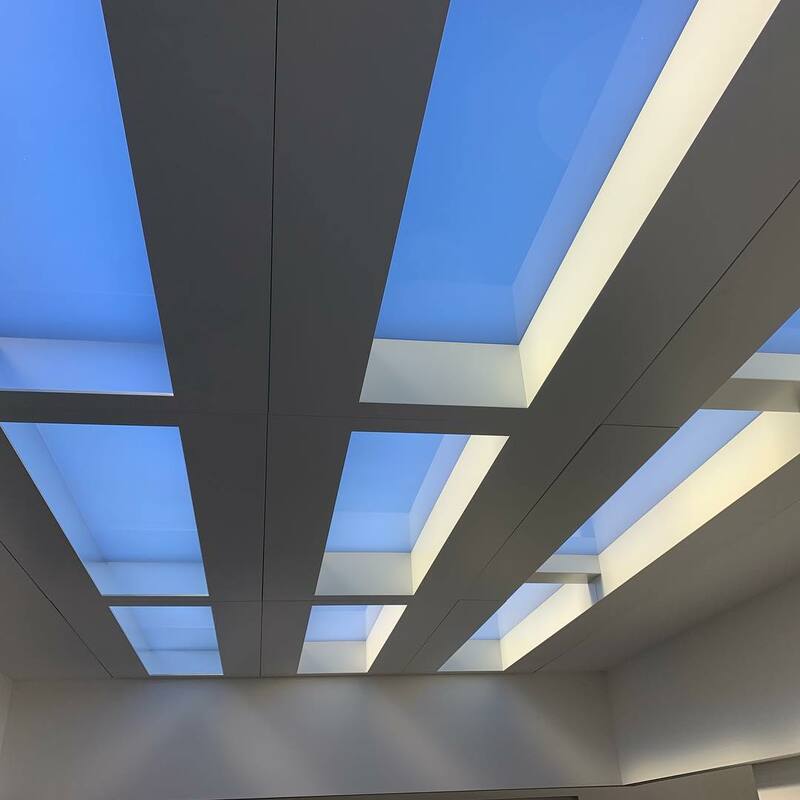 The system works thanks to the combination of three key elements: led technology, optic systems and nano-structured materials. 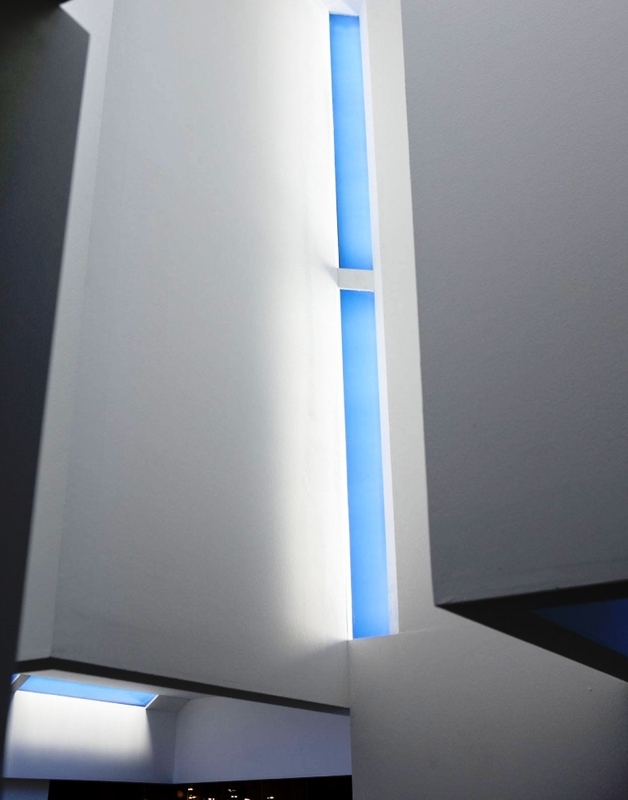 When the projector’s luminous band lights up the CoeLux® panel, the shadows in the room are given a touch of blue. 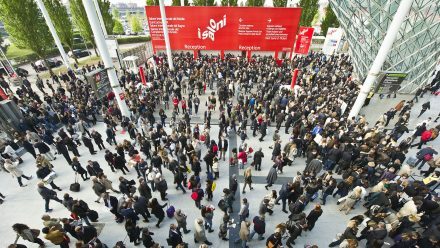 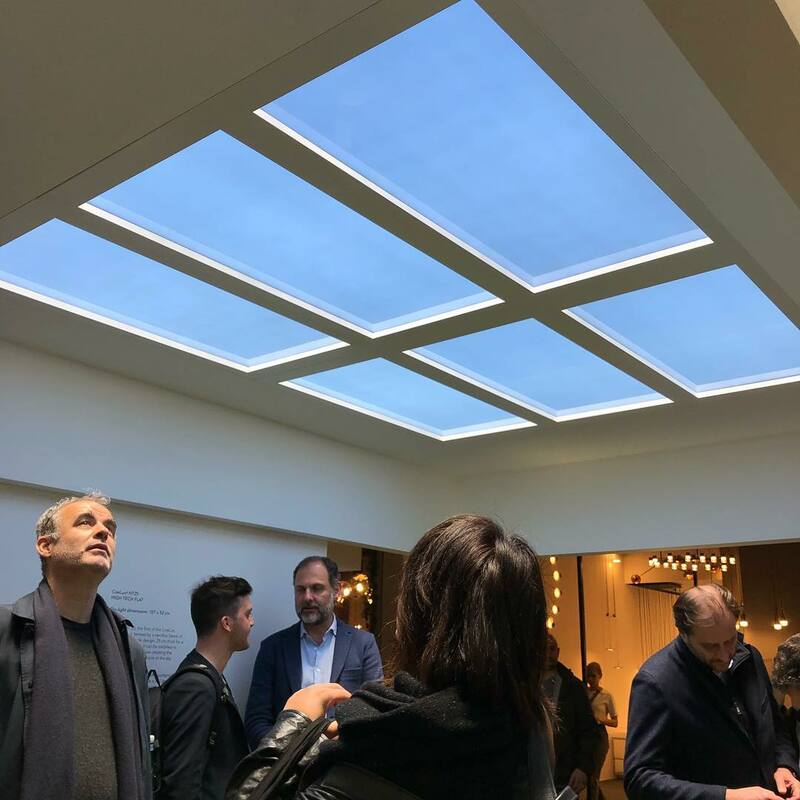 CoeLux returns to Euroluce and shows its product families in a booth that highlights the philosophical and evocative aspects and, on a more practical level, shows the countless possibilities of installation in the residential and public sector. 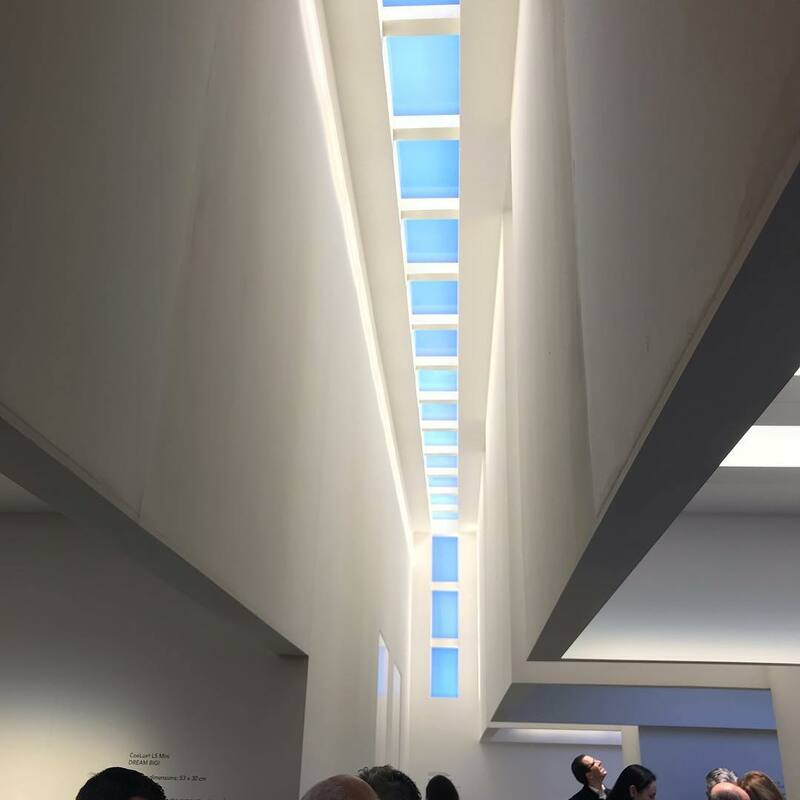 The 80 m2 of the exhibition space are designed as a “deconstructed installation”: six different places divided by a central inlet, suspended rooms, intersections of niches, walls that join the ceiling in a single opening to the sky CoeLux. 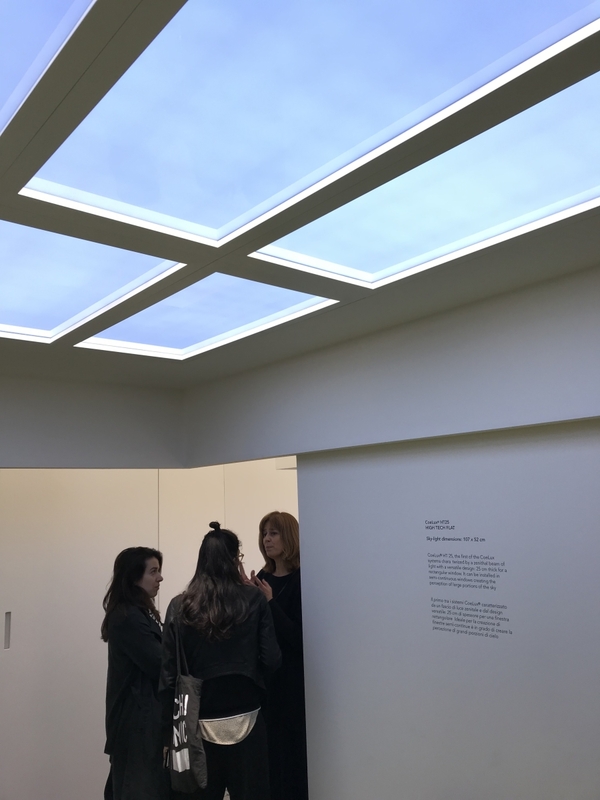 Nature blends with the architecture through the technology of CoeLux to create an environment that offers the experience of the sky already inherent in our memory. 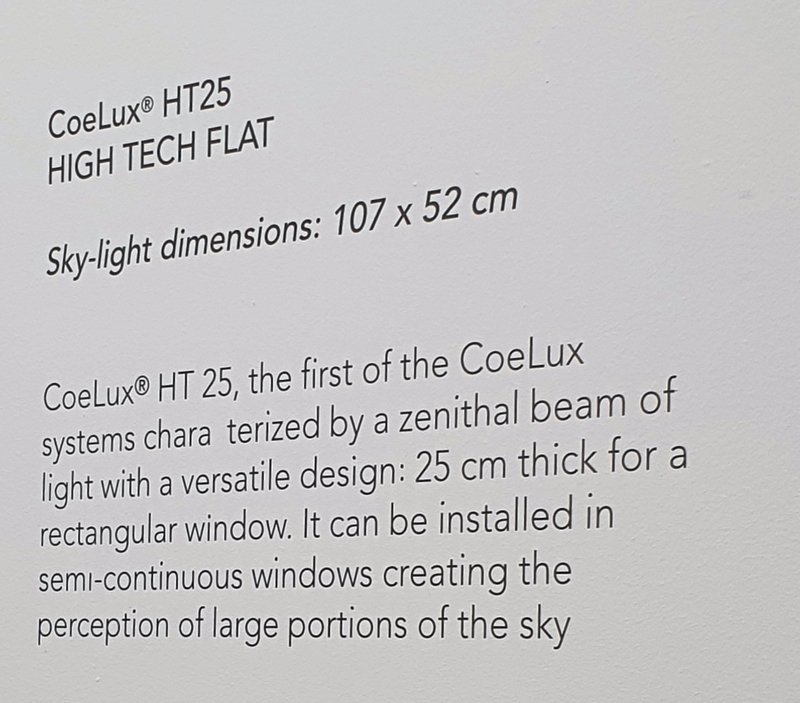 CoeLux® HE (60HC and a Concept version of CoeLux® 45 LC) – and the CoeLux® HT 25 system. 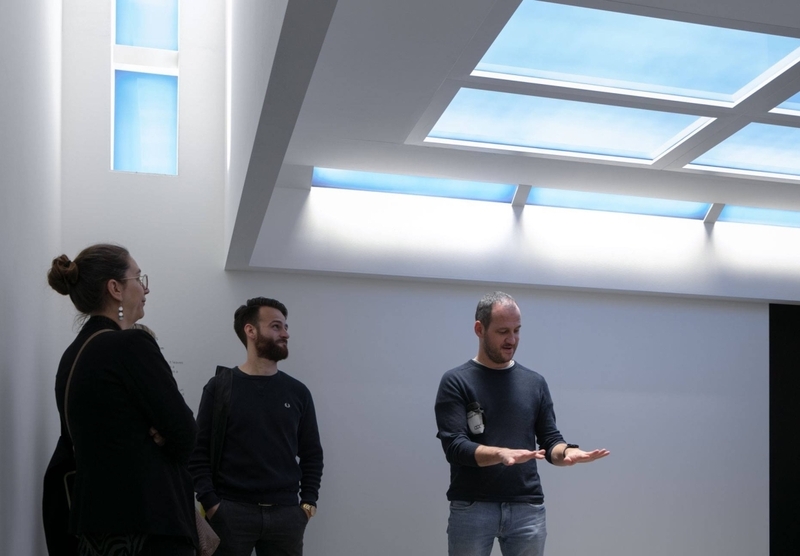 This new proposal, previewed at Euroluce, is the first system to feature a zenithal beam of light with a versatile design: 25 cm thick for a rectangular window measuring 52 by 107 cm. 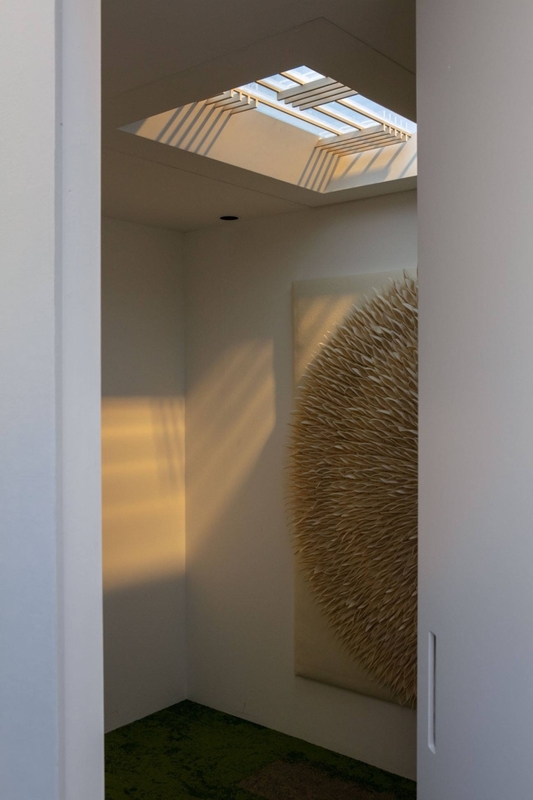 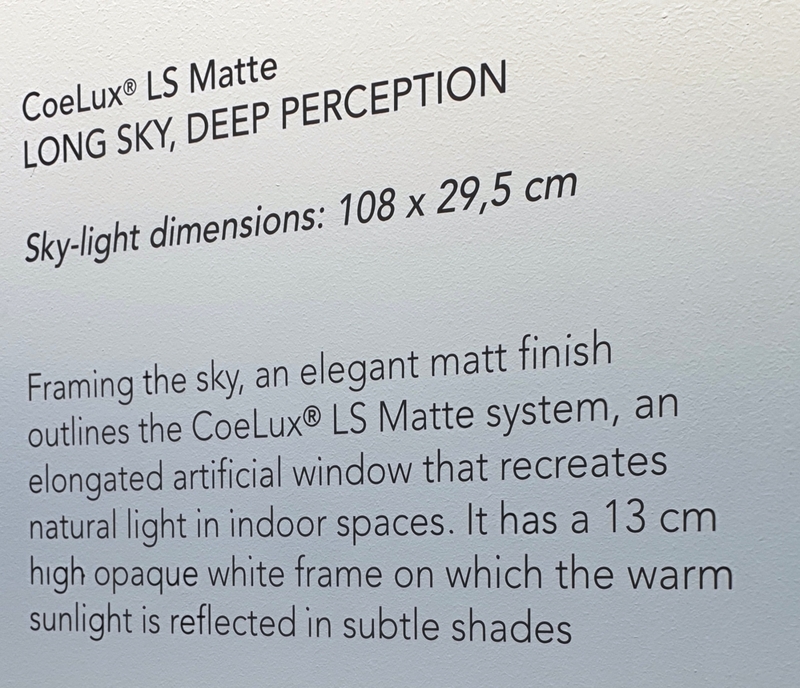 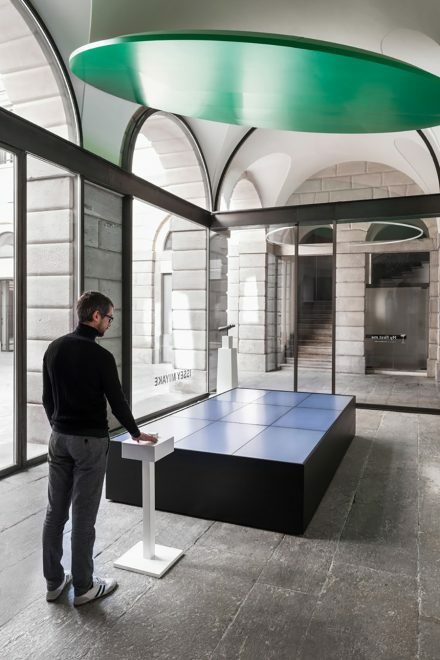 CoeLux lighting systems reproduce a virtual experience of the sun and sky; especially in a below-ground environment, the effect is so powerful that it may radically change our perception of reality. 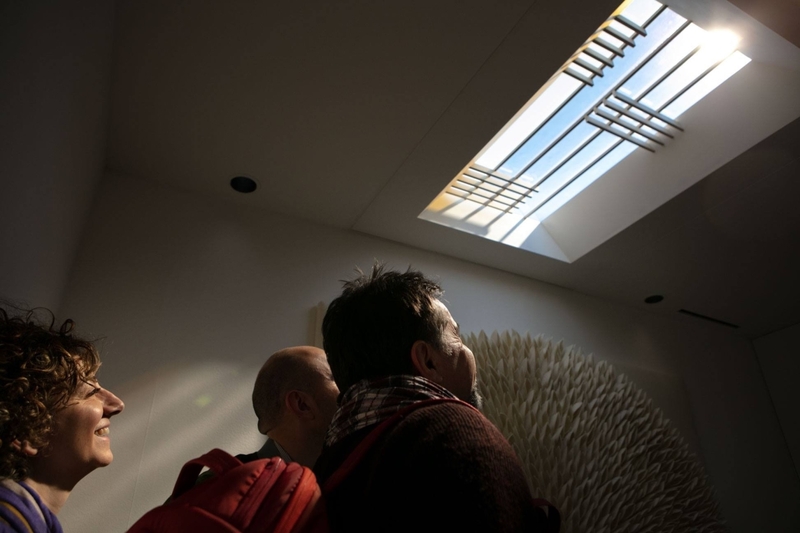 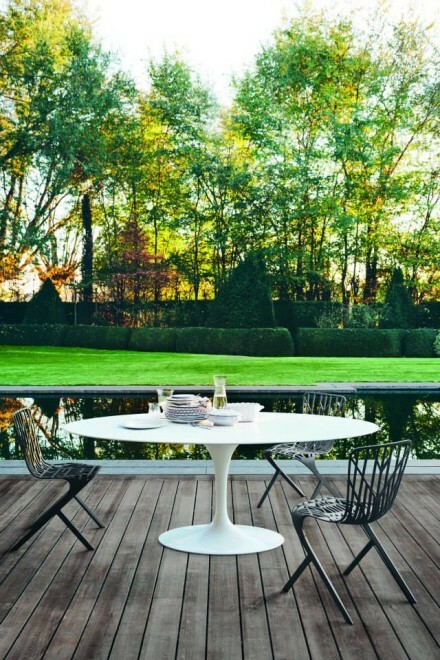 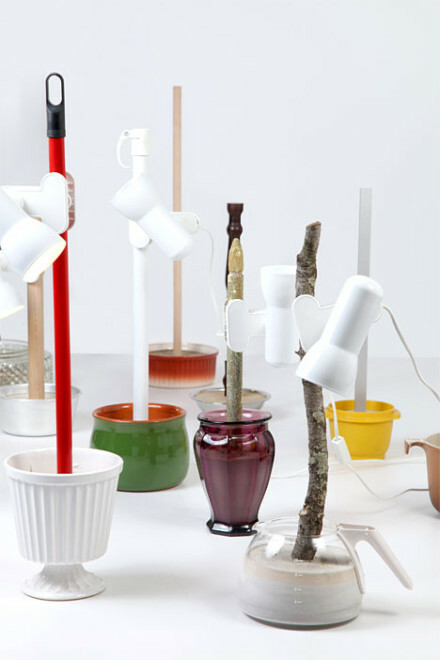 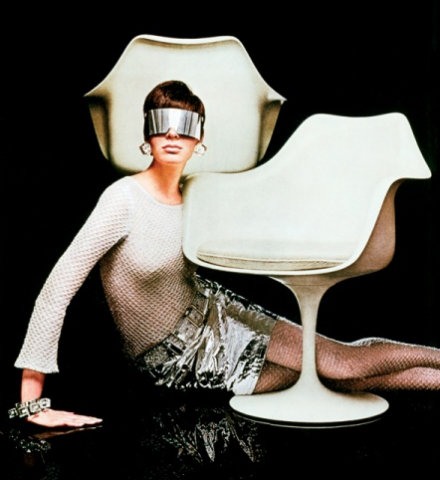 It allows us to rediscover natural light in the real world in a totally new and surprising way. 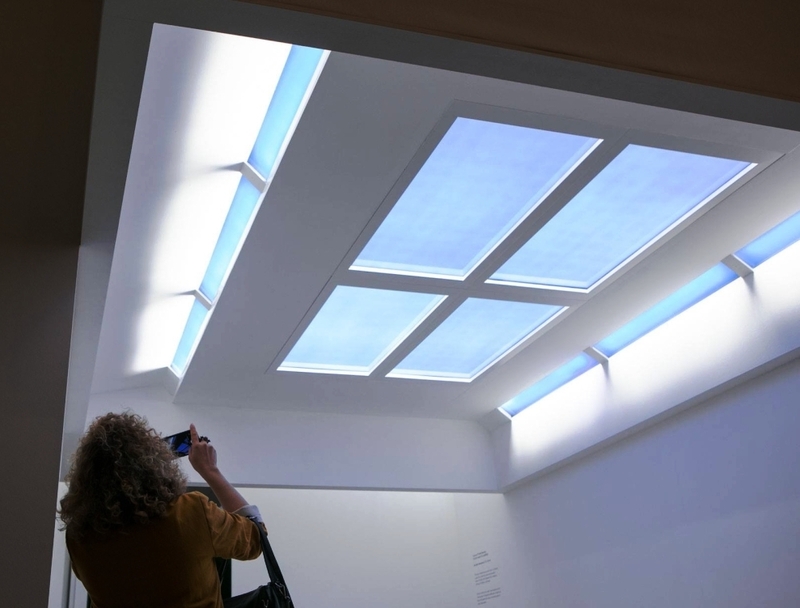 CoeLux systems increase the quality of the space we inhabit, our productivity and feeling of well- being. 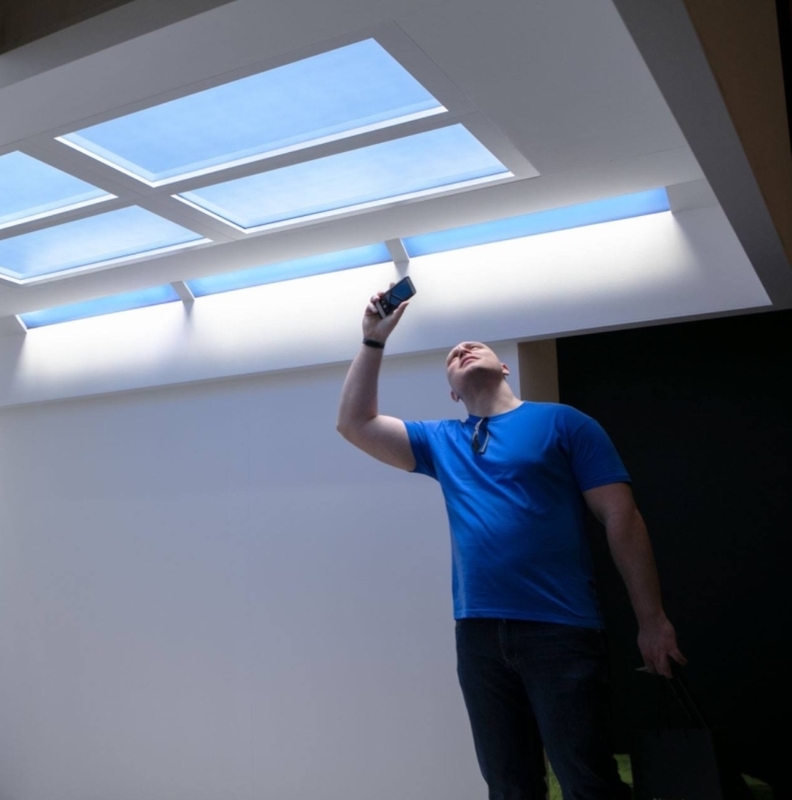 CoeLux has received several prestigious international awards including, in 2015, the Technology Pioneer 2015, awarded by the World Economic Forum and the FX Awards in the Lighting Products” category, reconfirming the accuracy of the Made in Italy worldwide. 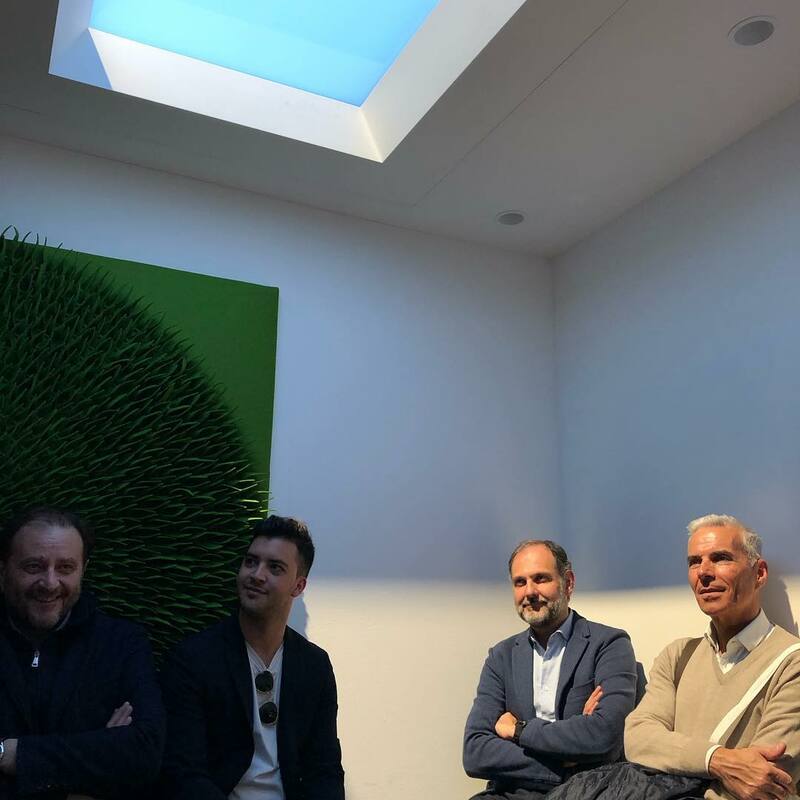 Coelux is a high tech company which patents, prototypes and produces innovative solutions in the interior design sector which reproduce the true effect of natural sunlight in indoor spaces. 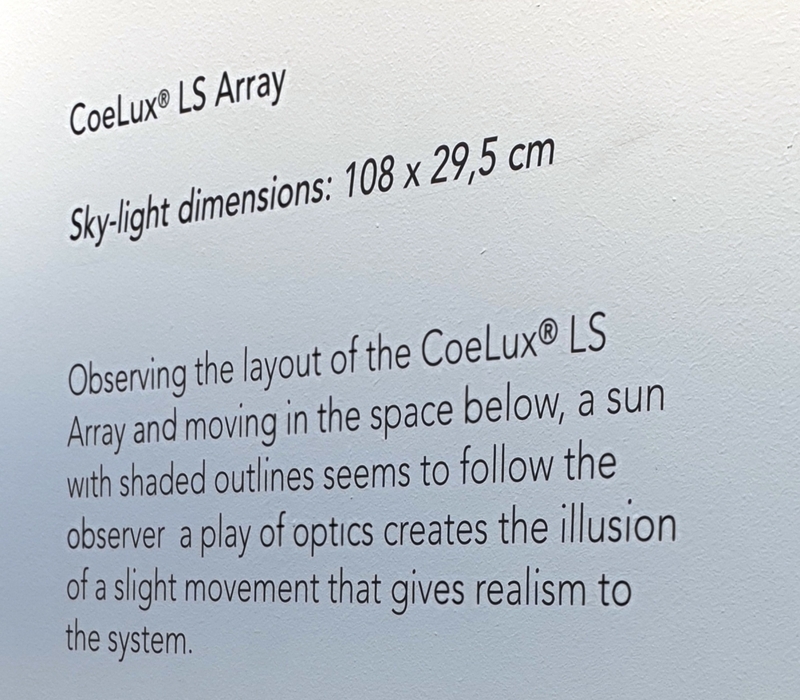 CoeLux is the result of the scientific research project led by Professor Paolo Di Trapani – a physicist of the Department of Science and High Technology at the University of Insubria in Como and CoeLux’ founder and CEO – with an interdisciplinary team of researchers in the field of optical physics, chemistry, material science, architecture and design. 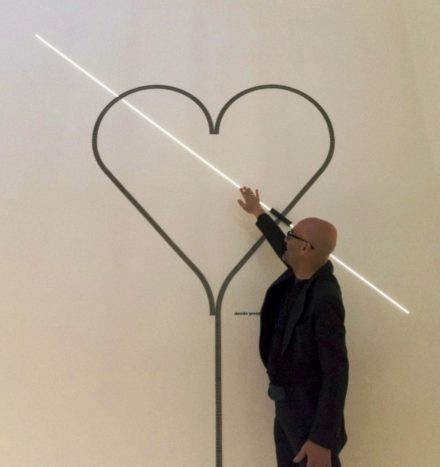 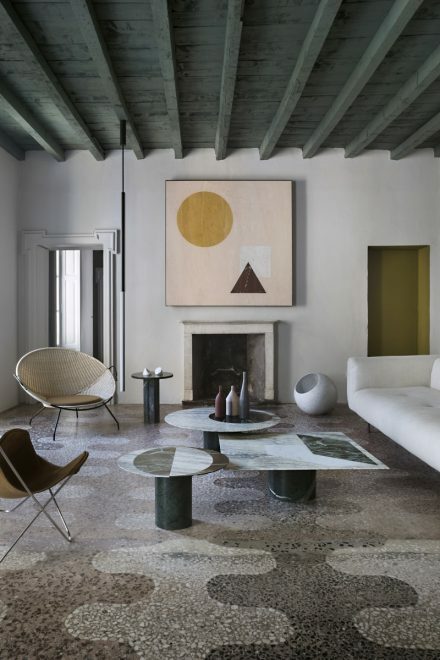 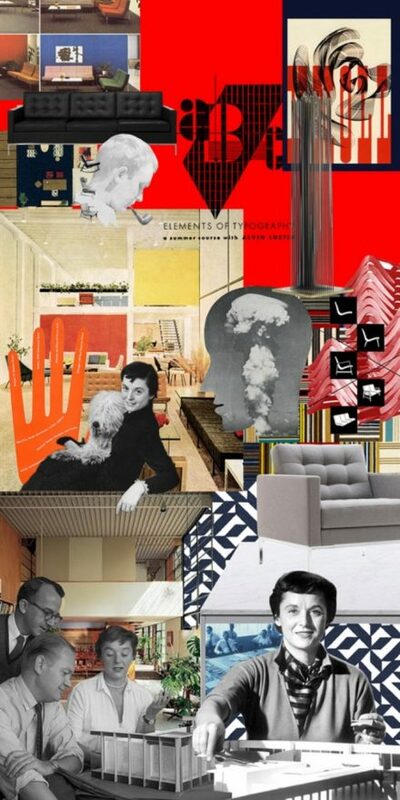 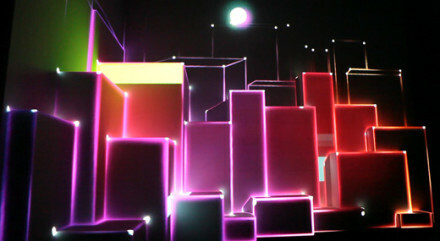 Paolo Di Trapani’s researches date back to 2009. 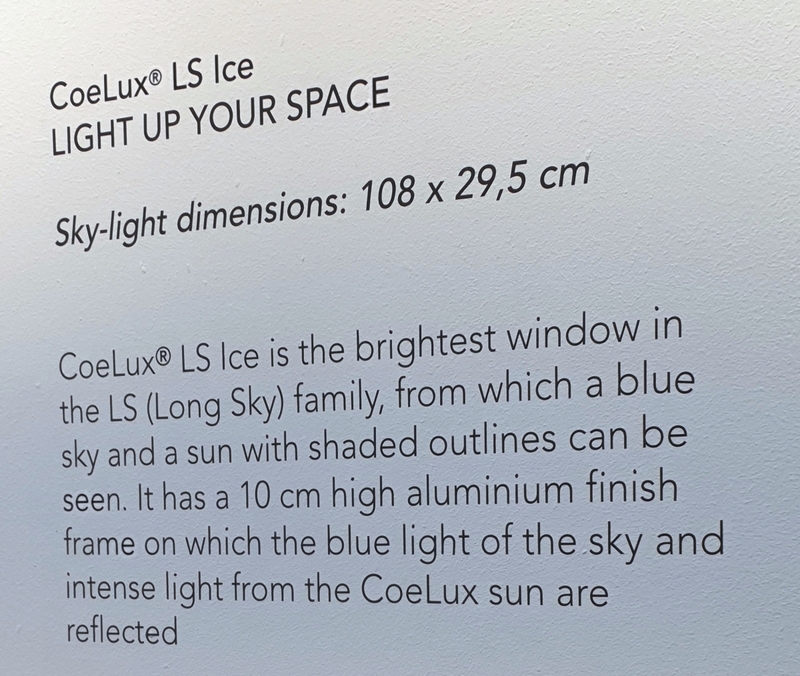 He was intrigued by the studies of the Belgian astronomer Marcel Minnaert in the book “Light and Color in the Outdoors”, in which the author takes the reader on a journey of colour and outdoor light and reveals numerous and spectacular natural optical phenomena human beings are hardly aware of. 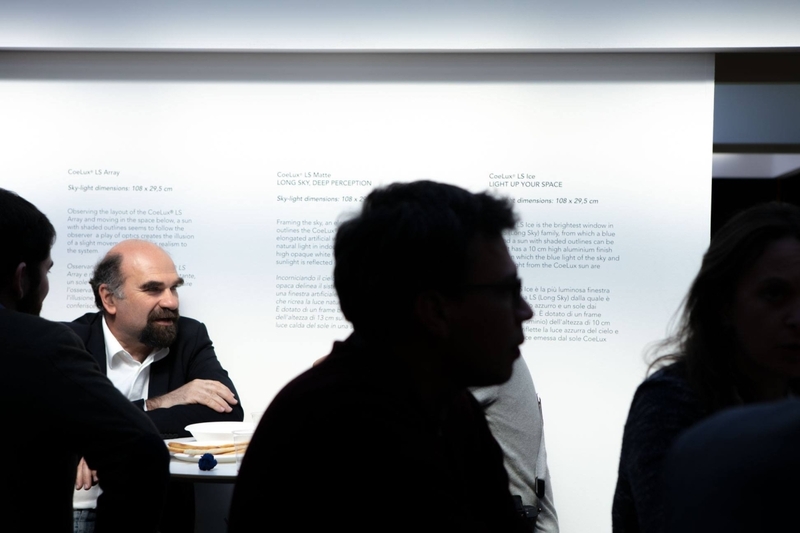 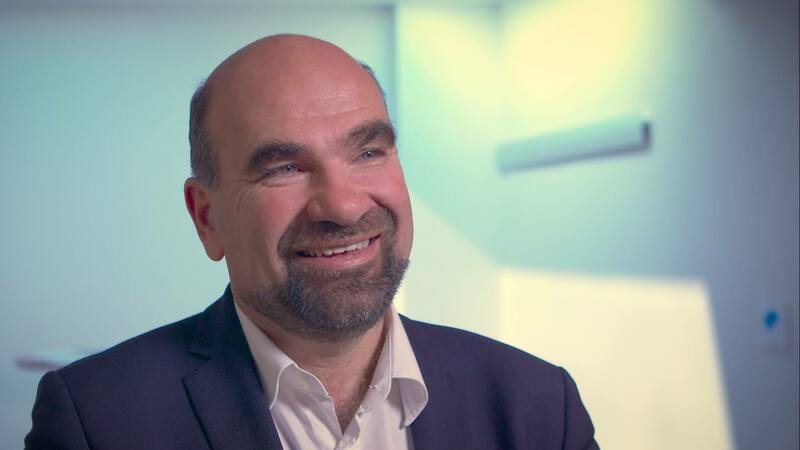 It was then that Prof. Di Trapani started his attempts to capture the presence of these phenomena in nature, realizing that what was described in the book really exists in nature. 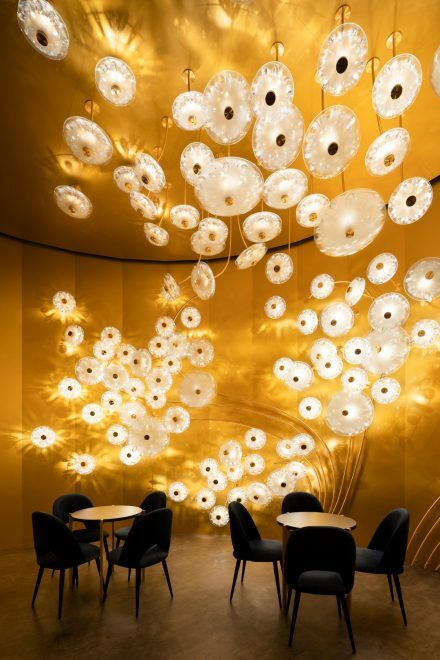 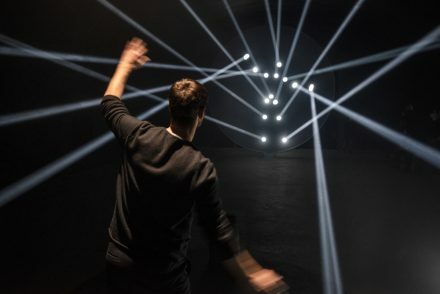 From this awareness he started trying to recreate in the laboratory the atmospheric optical phenomena found in nature: he envisioned a technology capable of physically recreating them, till a complete collection of lighting systems became reality.